We Now Offer High Speed Internet Where You Live!!! we can build any network to fit your needs. Office, Home, Rural, Metro, Urban, Industrial, Indoor, Outdoor, Wireless, and Hotspot Networking. Need WiFi for your hotel or business contact us today! 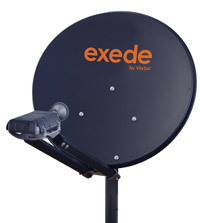 Exede High Speed Internet, Fast Internet where you live no matter where you live.